Set up a hassle-free ride to Osaka International (Itami) or Kansai International Airport using this private transfer service. 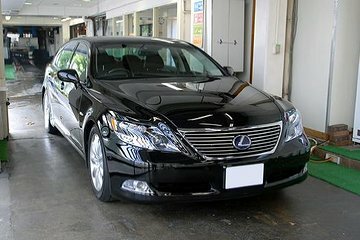 Meet your driver at your private residence or hotel in Osaka City, then relax for your journey to the airport via private sedan or minivan (depending on the size of your party). Avoid the stress of booking a taxi or arranging a shuttle service when your time in Osaka comes to an end. Simply enter your details, pay in advance and show your voucher to the driver when they arrive for pickup three to five hours before your flight. Travel by comfy sedan for up to three passengers, or by spacious minivan for up to eight. Best of all, this convenient pickup service is available 24 hours a day, seven days a week. Price is per person, based on 8 adults per car/vehicle. The service was exceptionally great. Highly recommend anyone to use this service. I am very satisfied with this company Green Tomato. Always on time and no hassle. We were lucky to book ahead of time for airport service because it rained on Osaka and cabs were limited around our hotel. Also, I loved the fact that I can reconfirm the booking through their email while traveling and the company answered same day with the time of pick up. Driver is always professional with suit and tie. Car was clean and comfortable. I was initially worried that Viator would find our Osaka apartment hard to find. The initial address in their confirmation was a little different. I sent a map and picture sent by our host, and then everything was fixed. The driver came 7 minutes early, the mini-van was new, and the ride to the airport was smooth. This is my second time to book for a departure transfer to the airport, and Viator, again, never failed to impress me. Excellent service! Excellent ,professional and exactly as advertised. On time, well organised and excellent driver.